Restaurant Bar La Rambla welcomes its customers and friends now with more than 20 years' experience. Proud to serve you with the same tradition of the old 'Cantinas', La Rambla maintains their efficient and relevant quality and service to the actual times. A fusion of the traditional Spanish cuisine now with the Mexican style, you will find at La Rambla a wide variety in the menu, from Spanish appetizers to the traditional Mexican tacos, even Pre-Hispanic dishes are served by seasonality. 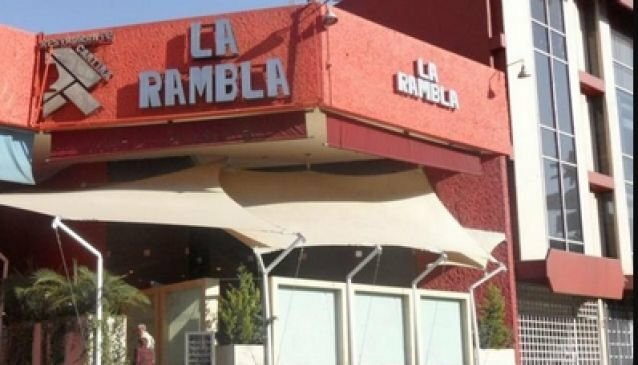 Reward yourself and visit La Rambla Restaurant Bar, if you do it near or in weekends you will also be surprised by the live music and some talented singers.